A grow house is a property used to cultivate various types of plants, most notably marijuana plants. 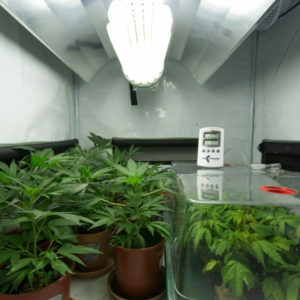 Grow houses are legal in the state of Florida to an extent. Individuals may apply for a growing license that permits no more than six flowering plants or 12 vegetative plants under Florida law. Should you be found with even just one more plants than the stated limit you could wind up in jail. Should you be found with any number of these plants and not in possession of a growing license you could also wind up in custody for illegally operating a grow house. If you are discovered to be operating an illegal grow house in Florida you will face a third-degree felony. A third-degree felony comes with no more than five years in prison and a fine of up to $5,000. There are circumstances that could warrant a second-degree felony charge, which would result in up to 15 years in prison and a fine of no more than $10,000. A circumstance that could lead to a second-degree felony charge is one in which the defendant was found to be running a grow house that had more than 25 plants in it. A first-degree felony can be levied if minor children are found to be living in the grow house. 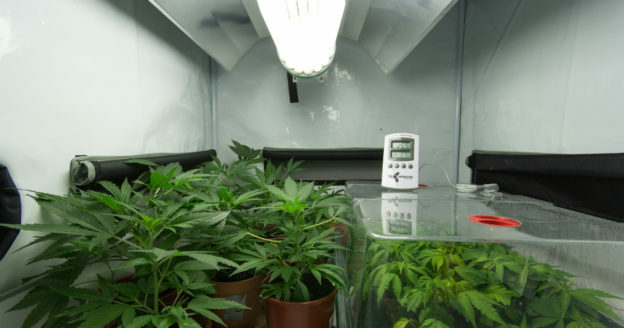 Should you find yourself charged with cultivating marijuana in an illegal grow house it’s important to know the available defenses to such charges. The first defense you could attempt is medical necessity. This is a limited defense allowed under Florida law for those who have a necessity for the drug that helps them avoid additional harm. Another common defense is that your Fourth Amendment rights were violated, which means an illegal search and seizure of your property was conducted by law enforcement. When using this defense you will need to show that not only was there no search warrant provided, but there was no probable cause for the search either. You could also claim that you were unaware of the cannabis plants being grown in your home or place of residence. Many use this defense when they truly did not know what was happening in another room of the house, especially if they live with multiple people with whom they might not have a close relationship. Were you arrested for and charged with illegally operating a grow house in Fort Lauderdale, FL due to lack of a cultivation license? It’s important that you protect your rights by contacting an experienced criminal defense attorney. Call the office of Michael A. Gottlieb, P.A. today at 954-641-8129 to schedule a consultation about your case.